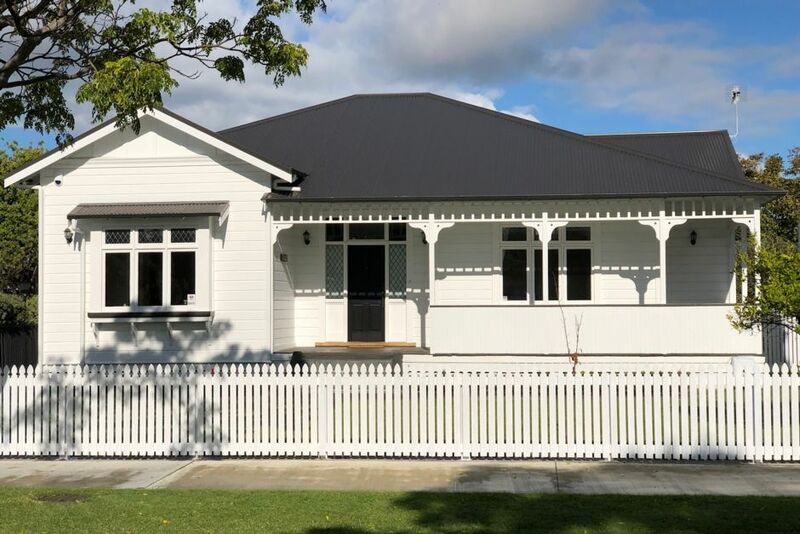 This property is in within easy reach of all the great Napier attractions. 15 minute walk to Napier central city. Fully refurbished and modern - new beds and furniture for your comfort and enjoyment. New master bedroom en-suite, and guest bathroom with large showers, plus an additional guest toilet. 2 heat pumps for both heating and air-conditioning. Great balcony, with new BBQ ready to take advantage of the balmy nights during the long summer months. A Nespresso machine is available for guest’s use, bring your own coffee pods. 2 bikes (with helmets and locks) for your use on the many cycle/walk ways around Napier - go exploring along the beach and extensive cycle ways. Technology available: Sky TV (with Sports), 2 x Smart TVs, WiFi, and security system., Bluetooth speaker. Portable cot available for guest’s use, Highchair on request. The fourth bedroom is a sleep-out adjacent to the double garage - with an additional toilet in the house easily accessible off the balcony. NOTE: Should you require use of the 4th bed in the sleep-out, even for less than 8 people, then the additional per person charge applies to cover additional linen and service cost. As new owners we are still adding luxuries - pictures will be updated as more furniture and art is added. We expect those renting this property, and their guests, to be responsible and look after the place as if it were your own. Deck not suitable for small children - would need to be supervised if outside. Large, safe backyard and plenty of off-street parking available. 15 minute walk or 2 minute drive to town. Off street parking up the drive and garage (if under-cover is required). With ice maker and filtered water. Nespresso - bring you own pods. There is seating for 6, plus additional chairs available for extras, but 3 seats at the breakfast bar. The house is amazing ! We were a family of 6 adults attending a reunion in Napier and it was the perfect solution for us, all the mod cons and having seperate bathrooms made it easy to have our own space. All correspondence was very straightforward and the maps provided made driving from the airport easy. Feijoa on my breakfast was a bonus! Thanks Anna - it was a pleasure having you and your family stay at Auld Reekie. Appreciate the extra effort with the linen wash. Hope to see you visit again sometime. We recommend you and family to all othe holiday home owners. Had a beautiful stay at this gorgeous villa in a great location. Everything top quality in the house from the oven to the hob to the toaster, which made everything very comfortable. Owners are lovely and we hope to return. A beautifully restored vintage villa. Very well equipped with lovely comfortable furnishings. The property was stunning, absolutely everything on hand that you could need. The location was so close to everything you could walk to most places around the city centre, absolutely beautiful house, sitting on the beck having a wine at the end of the day was stunning. Hi Don - thanks you for your booking. IT was a pleasure having you and your gusts stay. Thank you for looking after our house, keeping it nice and tidy - much appreciated. Hope to see you again on your next visit to Napier. We would recommend you to other NZ holiday home owners. Thanks for the lovely comments Heather. We are pleased you enjoyed your stay at Auld Reekie. And you are very welcome to come again. We highly recommend you and your guests to other holiday home owners. Thanks Josie - and you would be welcome back - thank you. Highly regarded and recommended to other holiday home owners.